I'm a huge of both Tim Burton fan and Johnny Depp. I've been known to enjoy me some vampire fiction (more Anne Rice than Twilight, thank you.). So when I heard that Tim and Johnny teamed up to create a campy vampire flick, I said, "Yes, please." Mother's Day afternoon in the hot desert climate of Tucson means movies with the family. My husband dropped my daughter and I off at the curb with the mission to buy tickets to The Avengers while he parked. While hubby circled, I bought tickets to Dark Shadows instead. Hey, it was Mother's Day after all. Why shouldn't I get some eye candy on my day?! The previews had led me to believe that I'd get a funny romp making lots of fun jokes about the 1970's. It looked fast and fun. It was not fast. And it wasn't that fun either. Just about all the jokes were shown in the trailers. Once that bit was used up, there was hardly a '70s reference after the first third of the movie. The movie also plodded a bit. The first twenty minutes seemed particularly slow. But the fashion of the movie was fun. Johnny's clothing, hair and makeup are fabulous. And those false eyelashes - it made me want to go buy some. Michelle Pfeiffer is the bomb and she looked every bit the 1970's beauty. And Helena Bonham Carter too looked great. They were outstanding at their roles. But I hate to say it, the movie fell short. I wanted so much for it to succeed. It never felt much like a Tim Burton film. It seemed to lack a clear vision. It is funny? It seemed that Johnny's influence cast the campy, fun light on the film. Or is it dark? There is a scene with a young girl being hauled off to an insane asylum, screaming for her parents not to send her away as they just stoically watch as she's carted away. This scene was perhaps the only one that said "Tim Burton" to me. And it was haunting and memorable. There were other bits where one got the "dark" of "Dark Shadows," but mostly Johnny as a vampire is more comical than dark and it just didn't work for me. Bottom line: If you are a huge Johnny Depp fan, go. You'll enjoy watching Johnny be Johnny. Seeing him decked out in his wrap around glasses (see picture above), and his modern-retro vampire look is worth the price of admission. But if you are going to see a Tim Burton movie, you may be disappointed. It just didn't feel Tim Burtonish to me. If you go or have seen it, leave me a comment and let me know if you agree or had a different take. 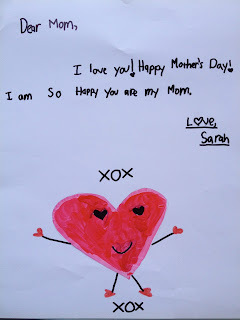 I had a wonderful Mother's Day, spent in the way I wanted - quality time with my dear daughter. She's nine now and we're still tight. I hope it lasts but I remember how the teen years saw me drift away from my own mother. Can you relate? 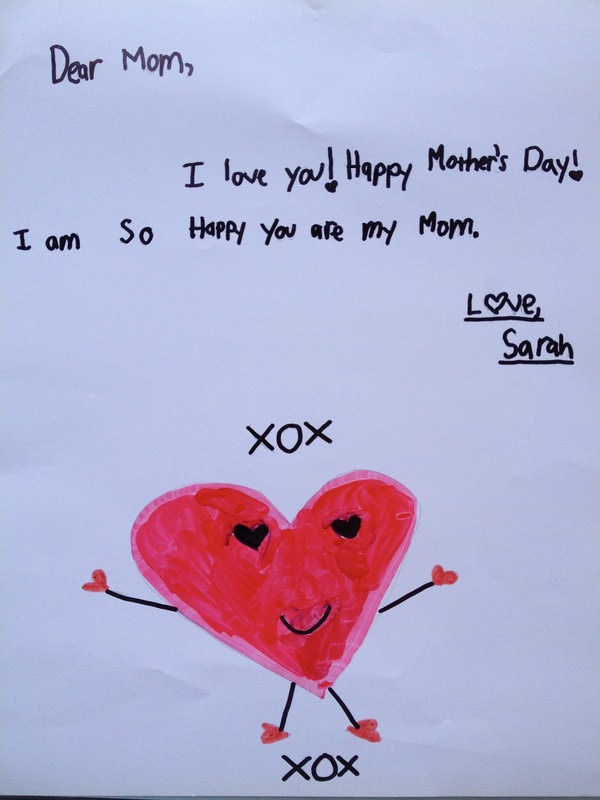 I recently penned a short story in honor of Mother's Day. It appeared as a guest post on another blog but I thought I'd share it here with my readers. Comments are always welcome. You open your eyes and the first thing you see is her face. You love nothing more than looking at that face. You don’t yet have the words to define what you see. Al you know is that you feel happier when she casts her eyes on yours; that when her lips curl up at the sides it makes your lips curl up too – and that feels nice. You’ve just hit the ground after stepping off the bus and you feel rotten inside. There’s never been a worse day. It started in the morning when you unpacked your backpack and realized you’d forgotten to pack your math homework. Then at lunch your so-called best friend didn’t save you a seat and you had to sit alone. Things went downhill after that. Josh’s usual teasing in art class made you want to punch him or cry, but you don’t do either. She’s there, waiting for you. Some days you wish she wouldn’t hover. You’re a big kid now, not three. But that day, it feels kinda nice to know that she knows you’ve had a miserable day before you even say anything. She hugs you tight and lets you tell her all about it. By dinner she has somehow managed to make you forget it was the worst day ever in the history of days. You’re in your room with the door closed, but she’s knocking on it. Can’t she see you don’t want to talk? Doesn’t she get that door closed means “leave me alone?” you’re not in third grade anymore. Maybe she used to be able to make it all better with a hug, but this isn’t something that gets better with a hug and a cookie. She wouldn’t understand anyway. She stops knocking and you hear her footsteps retreat down the hall. “Thank God!” you think as you cry out your heartache into your pillow. You don’t know that she is in her room, crying her heartache out into her pillow. You’re not sure why you’re so mad at her one day, then curling into her lap to watch T.V. with her the next. It’s like sometimes looking at that face that used to make everything feel right just reminds you of everything that’s wrong. It feels like that more and more. But some days, you don’t know why, you see her face and her eyes look like they could melt you like sugar in the rain. And on those days, you want nothing more than to have her hug you and stroke your hair and tell you it will be okay. And some days you let her. She’s bringing another box up the stairs and so help you, if she cries one more tear you’re going to lock her out! You see her biting her lip and sucking in a breath. She’s fighting back tears. Good! This is supposed to be a happy day. You’ve earned your freedom. You’re taking your first big step to independence. Doesn’t she want you to be independent? Isn’t that a good thing? Why is she crying all the time? Probably hormones. “Shoot me if I’m ever a mess like that,” you think. You’re holding your diploma in your hand and posing for pictures with your friends. She’s snapping the camera and smiling a lot. You can see in her eyes that she’s proud of you. Knowing she’s proud and happy for you makes you feel warm inside. You wouldn’t admit it to anybody, but you’re glad she’s proud. She’s not blubbering today like the day she dropped you off on campus the first time, but you see her mist up a few times. You notice a few more grey hairs at her temples. Are there more lines around her eyes than the last time you saw her? She comes over and hugs you and you let her. You even hug her back, real tight. It’s so hot outside the pavement feels like black lava licking right up through your shoes. Your husband holds your hand (too tight for your liking) as you waddle through the doors of the hospital to check in. “Did you call my mom?” you ask. Your pain feels a bit less biting when you see her head poke into the room. In that moment, you can’t imagine why you ever pushed her away. Even the man you adore with all your heart can’t take her place today. She puts her warm, soft hand on your forehead and you feel an immediate calm come over you. “You can do this,” she says. She smiles down at you and you look up into her twinkling eyes. There’s something there – almost a memory. You look in her eyes and you believe her. “I can do this,” you say. It’s the middle of the night. Everyone’s gone now. It’s just you and your little one. She lays in your arms sleeping. So small. So fragile. She’s got her tiny fingers wrapped around your pinkie in a grip that feels too strong for such a tiny creature. You look down at the angelic face cradled in your arms and even though you just met her, you love her more than you knew you could love. It’s a love so powerful and so deep that it hurts. And you know that someday you’re going to cry like an idiot when you’re moving boxes to her new place. You see it all like a movie going fast motion in your head. You’ll want to wail and hold onto her but you know you won’t. You’ll let her go, just like your mama let you go. And you know in that instant it will hurt more than any hurt you’ve ever known. You take back what you’d said. When the tears fall, you don’t want anyone to shoot you for it. You’re a mother now. Tears come naturally. Don't forget to enter my May Giveaway - signed book, swag AND an Amazon giftcard! You can enter the Rafflecopter at the top right of this page or hit this link. 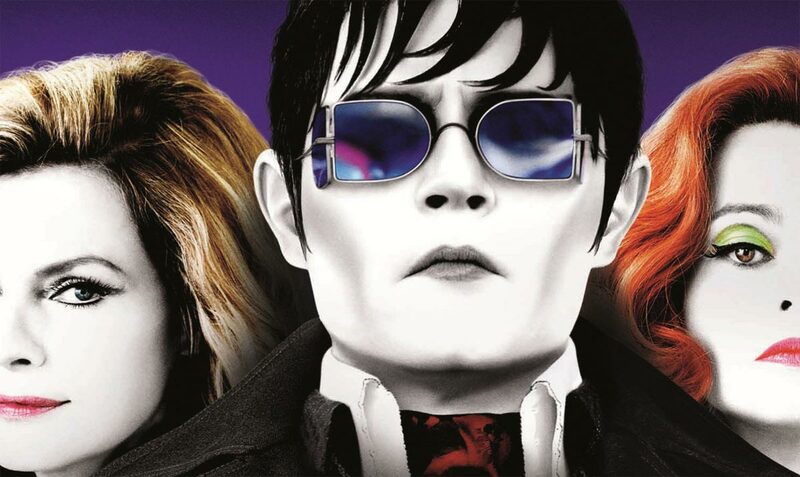 I'm sure I'll see Dark Shadows eventually (maybe not till Netflix, not sure). I think the drawback here is many people (including myself) don't have familiarity with the source material. So it may be an accurate play on the old Dark Shadows, but most people wouldn't know it unless they revisited the series recently. I know it has a cult following but I haven't watched it. Avengers is pretty great; I'd pay to see it again in the theater (my husband just saw it a second time). But glad to see you got your MOther's Day pick! Thanks for your comment Stephanie. Yeah, I never saw the old Dark Shadows. I'll have to see the Avengers soon. Continuing, I, too, will be waiting to see "Dark Shadows" on Netflix. It is, in fact, the first Depp/Burton/Helena or Depp film at all, that I've postponed for the small screen. Each Hallowe'en sees me as a reiteration of a Burton/Helena gal and I imagine this year just may involve yet another character. The trailers do indeed appear to be giving us the best there is and I've laughed all I can at those. So, yes, Netflix it is. P.S. Your Mom tale is lovely and concisely lifelong: not an easy task to envelop so many years in so few paragraphs. Were I to write on my Mum, it might be easier just to piece together some YouTube clips of Mrs. Olseon of "Little House on the Prairie", Susan Lucci, Ann Margaret and a little Elizabeth Taylor ... hmm, I wonder where I get some of my quirks?